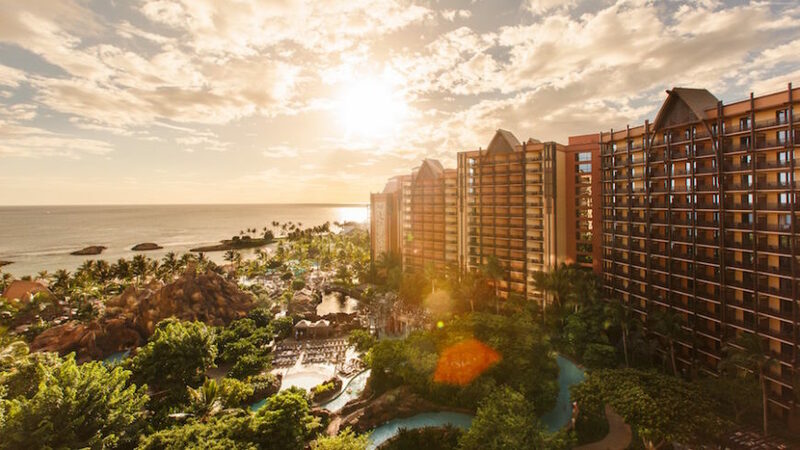 So you’re booked for a stay at Disney’s Aulani Resort in Ko Olina (Kapolei) Oahu. Congratulations, because you’re about to have an amazing time on a very special side of the island. But before you can relax poolside while your kids are occupied over at Aunty’s Beach House (an over 5,000-square-foot, state-of-the-art kids club) you need to get there first. But this trip isn’t like your average excursion from the airport to Waikiki. You’re about to spend some hard earned money to stay, play, and enjoy the Aulani experience, and you want to make sure that you and your party are catered to every step of the way, including the very first step outside of baggage claim. That’s where we come in. If you’re thinking about rental a car to drive from HNL to Aulani we suggest that you think twice. While Ko Olina is beautiful, you’ll be driving through one of the lesser scenic parts of the island (yes, such a thing is possible) and along the HI-93 W which can be backed up with traffic. Being stuck in rush hour isn’t so bad on the breathtaking windward side or North Shore, but on this 20 mile trek you wont want to be behind the wheel. Instead, kick back with your party while our professional drivers, who know the quickest way to get there, take care of the rest. Once at Aulani, the courteous staff will help you arrange for a rental so that you can explore the island from there. You can take the Hele Hele shared shuttle service which runs between Daniel K. Inouye International and Aulani Resort, but as stated, it is a shared shuttle service. That means you will have to wait until every other pre-booked party is done sorting out their business at baggage claim (etc.) before you can make your way to the resort. Then of course there is the fact that you’re sandwiched in with a bunch of strangers – people you may very well see enough of while at the resort. If you share a shuttle to the resort with them, you’ll be bound to small talk not just for the trip, but possibly for the remainder of your stay. Avoid the whole shared shuttle (and more?) experience by booking a direct, non-stop, no-share shuttle. As you can see, the fare can even reach nearly $120 USD. For a taxi? At that price you may as well rent a limo, or simply enjoy the luxury of a 2018 Sienna for just $70 (flat rate) for your entire party of four. Ride hailing services such as Uber and Lyft offer people on Oahu a GREAT alternative to taxis. But when heading from Honolulu airport to Aulani with a full party that includes luggage, carry-ons, and more (car seats, etc.) it doesn’t make sense. Not unless you can score a vehicle large enough from the UberXL “fleet”, but that’s going to run you around $95-100 USD during typical HNL busy periods (please do check the apps for yourself to verify). Plus, Aulani Resort and their valet staff does not favor droves of ride-hailing service drivers pulling up to the resort, especially during busy check-in times. View more on the concerns in using a ride hailing service from the airport, and make the best choice for your party by using a $70 flat-rate service with professionally trained drivers. There are MANY reasons to avoid taking TheBus from Honolulu airport to anywhere on the island, but there is a definitive answer when it comes to questioning the viability of this option for Aulani Resort. TheBus does not stop in Ko Olina. You would literally have to walk for over a mile from Farrington Highway. Yep, not an option. Last but most certainly not least is the experience you and your party will enjoy when being picked up and ushered off to your island paradise by Honolulu Airport Transfer. Not only are our friendly drivers filled with the aloha spirit, we offer lei greeting services so that you all receive a traditional lei greeting upon arrival. We will load your luggage for you, and ensure a comfortable ride, whether you want the windows rolled down to accept the island breeze or rolled up for the comforts of A/C on a hot Oahu day. We want to make sure your quintessential island experience starts from the moment you leave baggage claim. Simply contact us 24-hours in advance of your arrival to book your direct shuttle and please do let us know what we can do to accommodate you and your party as you prepare for your Aulani stay.